A batch of Lenovo refurbished laptops has been put up for sale by one of the wholesalers. This is not a big lot of notebooks, as there are only 10 laptops available. In this case, it is obvious that the wholesaler is only interested in selling all of these laptops as a one lot. All of these wholesale laptops are Lenovo T400 units, fully refurbished and packed in brown boxes. For basic specifications of this model, please read the information from below. 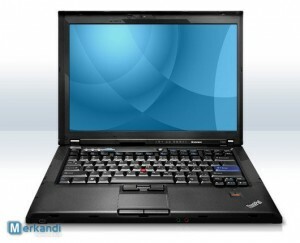 Processor: Intel Core 2 Duo P8700 2.53Ghz, Memory: 2GB DDR3, Storage: 160GB HDD Sata, Screen: 14.1″. The important and interesting fact about this deal, is that the buyer is able to purchase Windows 7 or Windows 7 Pro operating systems for these laptops, for an additional charge.